Accused of drinking beer instead of Zephyrhills natural spring water? Has the Zephyrhills Police Department arrested you for dui? Or were you charged by the Pasco County Sheriff’s office for driving under the influence while returning from a day at the spring? No matter the circumstances that led you to your Zephyrhills dui arrest, you will need an aggressive Zephyrhills dui attorney to protect you against the accusation!! At the law office of Finenbloom, Haenel & Higgins our dui attorneys are prepared to represent you in your Zephyrhills dui case! A Zephyrhills DUI is a serious matter. Florida’s laws on driving under the influence are strict. The only way to protect yourself against the State’s aggressive prosecution is by hiring an aggressive Zephyrhills dui lawyer. The dui lawyer Zephyrhills residents hire to represent them can help plan the best defense for them. When choosing the dui lawyer in Zephyrhills you want to represent you, choose someone with experience who knows the specific requirements that must be met in order to prove a Zephyrhills DUI. Dui charges are very technical and inexperienced dui attorneys can miss crucial defenses that can result in your conviction!! Even if you’ve failed a breathalyzer test you still can have valid protections against the dui charge. Experienced dui attorneys in Zephyrhills known how to challenge breath tests results because of accuracy or insufficient protocols. But you won’t know if this is an option for your defense unless you consult an experienced and knowledgeable dui attorney. Dui convictions have a large impact on your daily life and on your wallet!! For a first offense, you may face up to 9 months of jail time, a license suspension for 180 days to a year, community service hours, and fines up to $2,000, depending on your blow. You will also have a mandatory 12 months of probation and be forced to go to dui school and any recommended drug and alcohol counseling determined to be appropriate by the school. If you’ve already had a prior dui conviction within the last 5 years, there is 10 days of mandatory jail time with a possibility of incarceration up to a year. Fines range from $1,000 to $4,000 depending on your blow and you have to complete a more advanced dui school along with counseling. If the prior conviction is less than 5 years ago, your license will be suspended for 5 years!!! A third conviction for dui can be charged as a felony punishable by 30 days of mandatory jail time, a $4,000 minimum fine, and a 10 year license suspension. If it is charged as a felony you can face up to five years in prison! If the second conviction was more than ten years ago you will face one year in the county jail which is still a considerable amount of time! A fourth dui is always a felony regardless of how long ago the priors were received. A fourth dui is punishable by DOC probation and five years prison!! Not only will you be a convicted felon, your license will be revoked for life!! The dui attorneys in Zephyrhills realize that DUI cases are complicated an overwhelming. Don’t try to go it alone. You can’t afford to risk your money and quality of life. At Finebloom, Haenel 7 Higgins our Zephyrhills dui lawyers are standing by 24/7 to help you understand your options and build a defense. 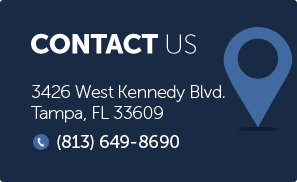 Contact us now by calling 813-200-4412. Let us help you fight your dui case! !